Hi Allan here, I'm almost 72 and retired contractor, now teaching Yoga around the Bay Area in San Francisco. Just sold back my 2011 VW Golf TDI (loved it) because of the emissions. And am now looking for a diesel wagon, would like the BMW 328d use- 14 or 15, although have looked also at a 2015 Golf diesel sportwagon SEL, but not sure where to go. I'm infaturated with the BMW because of design, engeneering, performance and am wanting a little more luxury these days. Don't want to buy new cause of cost of BMW but have looked at a new gas all-track from VW. Doesn't have to be off road capabl at all, just looks and performance. I understand if I buy a CPO- from a BMW dealer that I can get an extended warranty. I'd like the wagon to last 200,000 miles, I love taking good care of my cars. The VW had 166,000 when I old it back. So now I'm obsessing over what car to get, and enjoying the hunt. Really will look forward to any input from experience that will be possible. Thanks so much for you time. The 2018 Equinox diesel sees 43 mpg at 75 mph in Car & Driver testing and would probably see 50 mpg at the speed limit....with AWD. Motor Trend has the handling a half second off a VW Alltrack wagon but the Equinox brakes from 60 mph in a shorter distance. The best part is the Equinox diesel can be had for $25,000 on cars.com and hauls a class leading 81 cu ft of cargo with passenger seat folded down compared to 66 cu ft for the VW. In your situation, I wouldn't get the VW Golf Alltrack. The VW Golf SportWagen is a better choice unless you need the added access height of the Alltrack or off-road capability. The SportWagen is basically an Alltrack, but the SportWagen performs and handles better and gets better MPGs. The Prius v is also an option. It is the most reliable wagon hands down and gets great gas mileage, but doesn't have the sportiness you are looking for. Ignore NormT; he provides false info and only says good things about GM cars. He said the Equinox has 81 cu ft behind the front two seats. It actually has 63.5 cu ft. The SportWagen has 66 cu ft behind the front seats. Behind the rear seats, it is basically a draw in terms of space, with the VW edging out the Equinox. There are only about 3 Equinox Diesels for under $25k in the whole country. Going off Chevy's website configurator, a diesel Equinox starts at $31,000. Btw, no one buys a car based on braking distance or handling tests (which are just tire grip tests). Handling is tested from behind the wheel, while grip can be tested on a figure eight track. If you are looking for reliability, you won't find it at BMW or even VW. 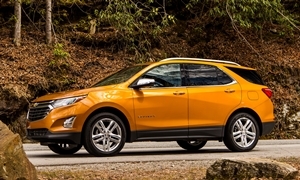 Maybe the diesels are reliable from those companies, but I think the 2018 Chevy Equinox Diesel would be the most reliable diesel car on the market. For wagons, I think you should go with a new fully loaded Golf SportWagen SEL with the Driver Assistance Package. It comes with a 6 year/72k mile basic warranty if you get the 2018 model. That means that everything is covered under this warranty, not just the powertrain. It has handling close to the BMW, but has less power and better MPGs comparing gas to gas engines. The Equinox will not be as joyful to drive and isn't German, but if MPGs matter more, the Equinox is worth a look. Another reliable wagon is the Subaru Outback, which is the most comfortable car on my list, but it comes standard with AWD, which you don't need in SF. MPGs are not as good and it doesn't really have any sportiness. It is still a good car, though. If you can wait, the Mazda CX-5 Diesel will be available soon. It will handle almost as well as the VW and BMW, but be way more fuel efficient, probably more so than the Equinox. Plus, Mazda's styling is beautiful. 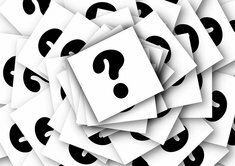 Don't forget to tell us what you buy! 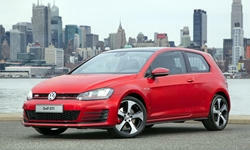 Pricing is quoted from dealerahip websites where you buy the car. You cannot buy from the manufacturer. The handling of the Equinox and Alltrack are pretty much equal as I already pointed out. Lectro, if you read my comment I did not state behind the front but how the Equinox leads the cuv class of 81 cu ft when the front passenger seat is folded. Cars.Com is only listing 42 diesel Golf wagons, but there are really good deals on Alltrack at $19K, or $10,000 off MSRP, as VW is just putting people in the seats until year's end. But the Alltrack has a very high repair rate of about 1/3rd returning to the dealership according to TrueDelta reported here. This on par with the newest CR-V which is worst in segment. The Equinox has a repair rate of less than half. 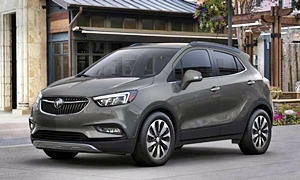 There are end of year deals on Buick Encore that will be around $16,000. 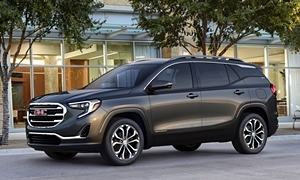 The Buick has free oil changes and tire rotations for the first two visits and offers a longer warranty of 4 years, 50,000 miles. With the front passenger seat folded cargo tops at around 60 cu ft and can easily swallow 8 feet longer items.